So, you might have limited Pilates experience or may even attend weekly lessons at your local gym, but why should you pack your bag, grab your passport and commit to an Italian Pilates retreat? We had a look at the top reasons our guests join us on a Pilates holiday in Italy! Live life like it should be. We are constantly told life is about balance, but hectic work schedules and commitments often mean the best things about life are missed out. Our Pilates holidays allow you to take a break from it all and balance exercise, cooking, sightseeing and time to relax by the pool. Taking part in regular Pilates classes at home can be enjoyable and rewarding, but without being immersed in the experience hinders how fast you progress. A week of Pilates classes in Italy provides the perfect amount of time to pick up lots of tips and techniques, but more importantly, time to practise them! 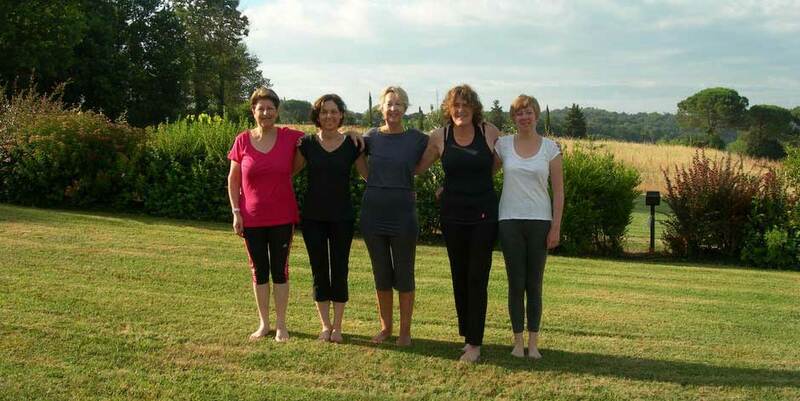 Spend a week with our Flavours instructors and you’ll see a world of difference in your Pilates exercises. Back pain is a common encouragement for some to start Pilates. Often, this can be alleviated but with many people spending hours sitting at a desk daily, it can be quite hard to shift. The health benefits of a week long Pilates getaway are infinitely greater than quick lessons in your local gym. Learn more in a small group. Our Flavours team prides itself in providing a personal service to small groups in our villas. You won’t get lost in the crowd and will be surprised how much you can learn in a week from our Body Control qualified Pilates instructors. Would you like to swap the local gym with some Italian sunshine for a week? We can help! Simply contact our team here to help you with your holiday plans or, to learn more about our retreats, check our website here – and who knows, you might soon experience the benefits of a revitalising Pilates holiday under the Italian sun yourself!